When it comes to Search Engine Optimization (SEO), you don't just want to rank highly on search results. You also want people to click through to your website. 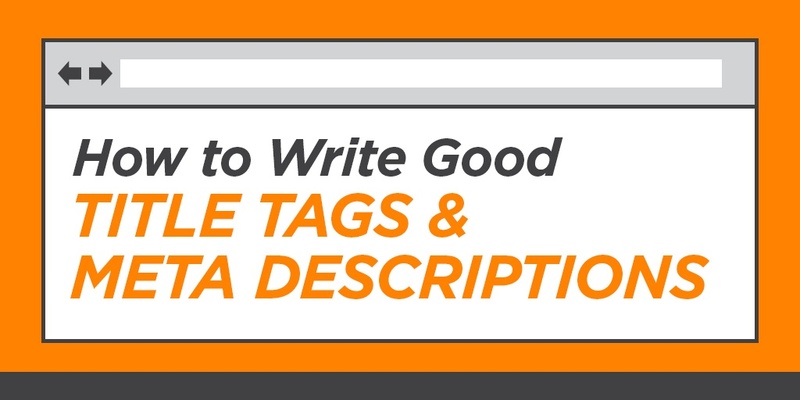 Good title tags and meta descriptions are incredibly important to SEO and enticing searchers onto your website. Title tags and meta descriptions are the headline and summary that appear on a search engine results page (SERP). They help tell both people and search engines what a specific web page is all about. Title tags also appear on the top of your web browser to help you identify which page you're on. They're especially handy if you like to browse with multiple tabs at once. While technically only the title tags are part Google's ranking algorithm, both are important for SEO. Good titles and descriptions improve the user experience and entice users to click through to your website from search engine results. This in turn shows the search engine that your content is relevant and interesting. Your titles and descriptions should be long enough to contain all your important information, but short enough to display fully without getting cut off. Like Goldilocks, you want them to be "just right." For title tags, that sweet spot is between 50-60 characters, according to Moz. Google will sometimes display more characters than that, but it depends. The exact limit is 600 pixels, but because some characters are wider than others (like an "M" vs. an "i"), you may fit as few as 40 or as many as 80. Google has made a few changes to the length of meta descriptions recently. In December of 2017, they increased the limit from about 155 characters up to about 320 characters. In May 2018, they reduced the length back to 155 characters for desktop, and about 130 characters for mobile. If you're still using long meta descriptions, it's not the end of the world, but we recommend optimizing for the first 110-130 characters. Duplicate content is a big "no-no" for search engines, so the same rule applies here. Plus, by using unique titles and meta descriptions for each page, you reinforce to search engines that your content is unique and valuable. Duplicates often occur when you forget to set your titles and descriptions, and the page simply uses a generic default. "Untitled," and "Just another Wordpress site" are not good titles to encourage users to click, so make sure you make them unique. You need to make it clear to both users and search engines what your page is about. To do that, make sure you include keywords that relate to the topic or subject matter of the page. For example, when searching for "Propane Lancaster, PA," this listing from Worley & Obetz includes multiple relevant keywords, like "propane gas company" "tank refills" and "delivery." In this case, Google actually expanded the provided meta description to add details about geographical coverage areas. 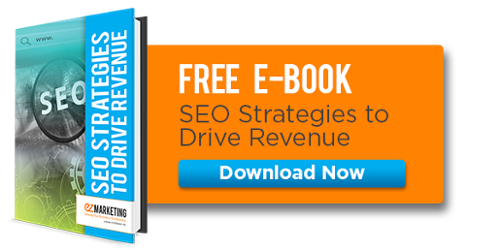 While you want to include relevant keywords, don't go overboard. In the early days of SEO, you could stuff as many keywords in your title tags and meta description as possible, and search engines would rank you for those terms. Now, search engines have learned to penalize this behavior, which feels forced and "spammy" to users. In fact, Google is smart enough now to understand related terms and concepts, even if you don't use the exact same keywords as the searcher. For example, you search for "HVAC repair," Google knows that terms like "heating" and "air conditioning" are related. So write naturally to describe the main subject, and don't obsess over fitting in every single keyword. Studies have shown that people tend to focus on the first 2-3 words of a headline. It makes sense: we read left to right, and many people skim text, rather than reading it completely. Plus, long titles may get cut off and omit important words at the end. So your titles are more likely to make an impact if you include the most important words first. In addition, keywords closer to the beginning of the title tag may also have more impact on search rankings, according to Moz. People often like to know where content is coming from, so it's good to include your brand name in your title. Plus, it also gives you credit for your content and builds brand recognition just by showing up on SERP pages, even if users don't click the link. Google will, in fact, sometimes add your brand name automatically if you don't already have it, because they know it's important. The exception is your homepage, where your brand name should come first. Your page titles and meta descriptions are like a sales pitch for that web page. Think of them like an ad, and write compelling copy that gets people to click. That means speaking to users' needs, identifying the benefits of what the page has to offer, and including compelling, active language. Take this example from a local farm. It highlights the unique benefits of the company's lactose-free milk product and includes a call-to-action to get an online coupon. Too often, businesses are so focused on optimization and trying to climb in the rankings that they forget their website needs to speak to real people, not just robots. Search engines are getting smarter every day, and they're increasingly learning to love what people love. So write for people first. Optimize for search engines second. Here's an added complication: Google doesn't always use the title tags and meta descriptions that you set. If you aren't following the best practices above, Google may come up with its own information to display in search results. Even if you are writing good titles and descriptions, Google may still choose to change what displays to better fit the user's search query. This is generally a good thing, but it can be frustrating when you can't force them to use a your information. To check your title tags and meta descriptions, we recommend using Google's Webmaster Tools (look under Search Appearance --> HTML Improvements), or an SEO spider tool like Screaming Frog. Website optimization is key in order for your website to rank well. Our team of SEO experts know all the technical ins and outs that speak to search engines, such as title tags and meta descriptions. We offer on-page SEO services that will ensure your website is search engine compatible and efficiently optimized for ranking purposes. If you have any questions about optimizing your title tags, meta descriptions, or other content, let us know - we'd be happy to sit down with you for a free marketing review.